After bariatric surgery, you will be forced change your diet and lifestyle in order to support rapid weight reduction. Proper nutrition is vital to maintain lean body mass, stay hydrated, and keep your skin elastic. 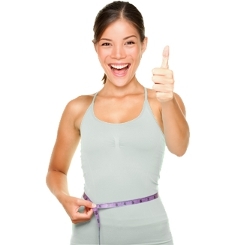 Adopt proper eating habits to promote weight loss while maintaining your health. Eat enough protein to minimize loss of lean body mass and promote healing from the surgery. Take vitamins and mineral supplements to compensate for your reduced food intake. Most weight loss surgery patients will be put on a liquid-only meal plan for two to three weeks after they leave the hospital. Patients then graduate to soft foods for the next six to eight weeks and eventually transition to regular foods over the next six to nine months. 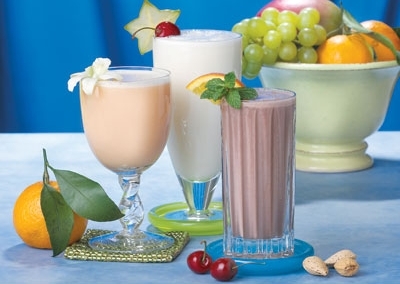 Starting on the day you go home from the hospital, you should drink two ounces of high-protein liquid nutritional supplement every hour throughout the day. This must be a nutritionally-complete liquid that can pass through a standard strainer. In addition to this nutritionally-complete liquid, you should attempt to consume two ounces of water or non-carbonated low calorie liquid every 15 minutes, for a total of eight fluid ounces per waking hour. Depending on your individual medical history and the type of gastric bypass surgery, many bariatric doctors will recommend that you take a daily multivitamin and mineral supplement as well. The most important thing is to drink enough liquids to prevent dehydration. Protein consumption is less important in this early stage. You must drink a total of six to eight cups of liquids per day to avoid becoming dehydrated. Drink slowly, and don’t rush it. Over a period of several days, you will become accustomed to consuming the necessary liquids. Do not start solid foods until you have your three week follow-up visit with your doctor and bariatric surgery dietitian. Three weeks after surgery you will follow-up with your surgeon back at the clinic and learn how to successfully incorporate soft solid foods into your bariatric diet menu. Soft and easily-digestible foods will be gradually incorporated into your meal plan over the course of the next 6 to 8 weeks. During this time you must continue to focus on high protein foods and stay away from foods that are high in fat, sugar, or fiber. As you begin to lose weight after the surgery, it is vital to develop and maintain healthy eating habits. Your weight loss success will depend on sticking with healthy and nutritious food choices and avoiding between-meal snacks. Given that your body cannot store protein, it will require a steady supply of it to maintain vital body tissues. You will need to eat protein every day to maintain your body’s basic protein needs. Set a target of consuming at least 60 grams of protein per day. In most cases, bariatric surgery reduces the capacity of your stomach by over 90%. Therefore, protein-rich foods should be consumed at every meal to preserve lean muscle mass. For best results, try eating high protein foods at the beginning of each meal. Lean proteins like poultry, fish, eggs and low-fat cottage cheese are a few good options. A condition known as “dumping syndrome” will occur if you consume foods high that are high in sugar and fat (more than 10 grams per serving). Symptoms of dumping syndrome include feeling light-headed, a rapid heart rate, profuse sweating, cramping, abdominal pain, nausea and diarrhea. Avoiding foods or liquids with high sugar and fat content can help prevent dumping syndrome. Foods that can cause problems fruit juice, soda, high fat meats, fried foods, candies and sweets. After bariatric surgery, you will not be able to eat the variety of foods through diet alone needed to meet minimum RDA requirements. Therefore, a high-potency multivitamin and mineral supplement with iron must be taken every day. Daily calcium and vitamin B12 supplements are also recommended to prevent anemia and osteoporosis. Some patients require additional supplements after surgery, and should consult with their doctor dietitian to make sure they are getting all the vitamins and minerals required. As was mentioned previously, protein is vital to support healing and maintain muscle mass after weight loss surgery. It may also help reduce hair loss that may come with rapid weight loss. Try to consume at least 60 grams or more of protein per day through regular foods. You may still need to get some of your protein from vitamin supplements until you are able to consume enough solid food to meet your nutritional needs. Remember that you will not be able to eat a large volume of food at one time. Be prepared to eat small meals four to six times a day. It is important that you recognize when you are full. Signs of fullness are pressure, tightness, or heaviness in the center of your abdomen just below your breast bone. A feeling of nausea, regurgitation or heartburn is a sign that too much food has been consumed or that the food was eaten too rapidly! After 10 to 12 weeks, you should ready to go from soft solids to regular foods. Eventually, you will probably be able to eat many of the foods you were eating before bariatric surgery, but in much smaller amounts. Try to make healthy food choices that include lean meat or vegetable protein, low-fat dairy products and fresh fruit and vegetables. Do your best to avoid junk foods that are typically high in fat and sugar. Patience is key as you oh-so-gradually return to normal eating habits.